Christian women hear a lot about the Proverbs 31 woman. In fact, I hear about her so often that I sometimes get really sick of hearing about the Proverbs 31 woman. Why did God insist on including these 21 verses in His Word? If we were to read these things in a magazine article about a woman alive today, how would we react? Would we be glad for her accomplishments and desire to emulate her, or would we nurse feelings of jealousy and guilt that we’re not living up to this ideal? There have definitely been times when I’ve thought about this virtuous woman and wondered if I could ever make my good deeds look that good–is she even real? This is exactly why God included her description in Proverbs, though: to give women an example to emulate. The Bible is full of great examples for men, like Joseph, King David, and the apostle Paul. God knows we need someone to look up to as well. The part of the description of the Proverbs 31 woman that strikes me is in verse 11: “The heart of her husband safely trusts her.” This sums up so much of our responsibilities to one another as married people. When we “safely trust” one another, we feel comfortable sharing all that is in our hearts. We know we can mess up because we will be forgiven and lovingly guided back onto the right path. We can live up to our highest potential because our fragile emotions are being safely guarded, not only by the Lord, but also by the one person He gave this responsibility to: our spouse. If you and your spouse have communicated well, then you’ve each committed to roles and responsibilities. In our family, my husband is the financial provider and overseer of all that goes on with the home and family. 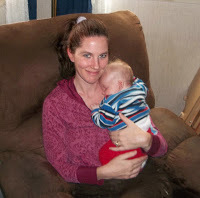 I have been given the responsibility of caretaker of the home, finances, and children (when he’s not home). Though my role is huge as far as devoted time and energy are concerned, everything ultimately falls under his responsibility. If something “goes wrong,” it’s my husband who will answer to God for the poor management of his family and home. That being the case, my husband needs to be able to safely trust that I will do my best to be a blessing. Every day I’m faced with the choice to do either what feels good or what is good. Sometimes I make the wrong choice. 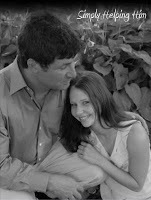 I’m so thankful that, in those times, I can safely trust my husband, and ultimately the Lord, to forgive me. When I focus my heart on desiring to be a blessing, I realize that I do like that Proverbs 31 woman after all. 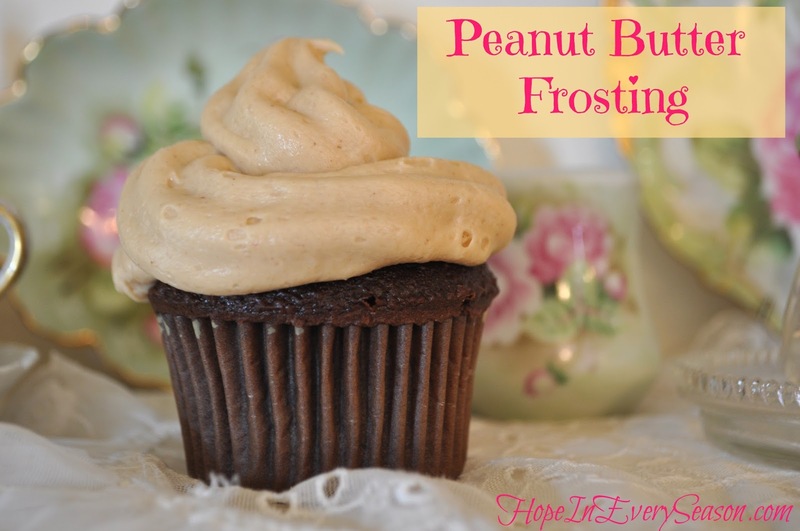 Peanut Butter Frosting?!! Yes, please! Alright, before you all run away screaming that I'm posting about peanut butter AGAIN... I must argue that there is a significant lack of decent peanut butter frosting recipes out there. This is less about me having a shameful addiction and more about my compassionate heart that seeks to provide an essential public service. Today we're having a late celebration with Grandma during our book reports time. I had a little peanut butter frosting left over from Cainan's cake so I used it for some cupcakes to share with Grandma. Mix everything but the milk until smooth. Add milk a few Tbsp. at a time until it reaches the consistency you're wanting. This makes enough to frost a 2 layer cake. Thank you for stopping by our 16th week of Blessed At Home. We sure appreciate everyone who has visited and shared our articles on Facebook, Pinterest, and Twitter. 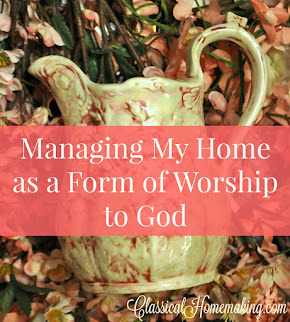 Please visit the Contributor Page to read more about this excellent ministry from some of your favorite homemaking bloggers. Hi!! 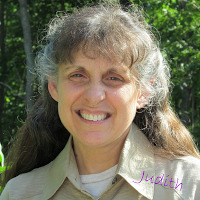 I'm Judith Kowles, and I am so blessed to 'meet' you!! 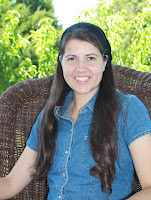 I was saved as a young girl and have been learning to daily abide in the presence of the Lord Jesus Christ as I draw closer to Him. 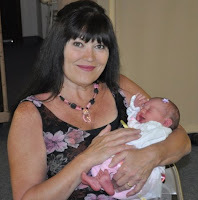 I have been married to my sweet husband, Tim, for 34 years, raised and homeschooled seven children from 1988 through 2012, and now caring for twin grandbabies keeps my nest from emptying too fast. I am an ordinary gal, born at home in Japan, raised in the British Crown Colony of Hong Kong (now China), lived in Hawaii during high school, went to college in California, and since then have been enjoying an extraordinary life at home with my family. 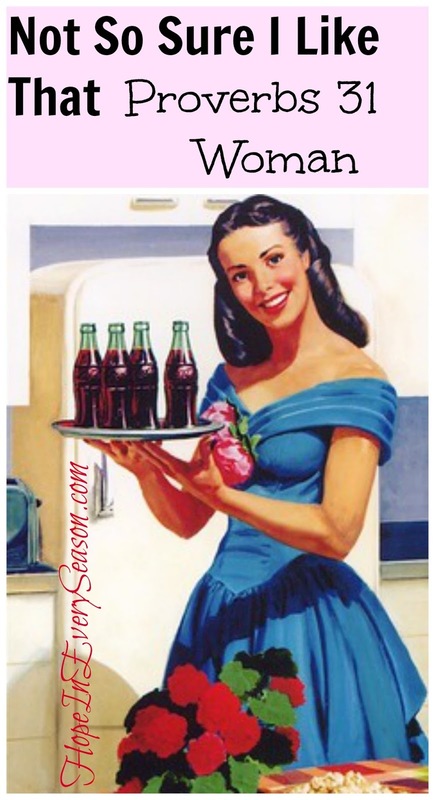 I love homemaking, and having a clean kitchen floor under my bare feet is ultimate satisfaction. I have found the whole purpose of having children was for me to see my own sin and learn to walk in an increasing amount of grace and love. I have learned it isn't me but God who changes attitudes and hearts, mine first!! Now that my children are raised, (youngest is 18) I am ready to be a mother. I have learned, through the anvil of motherhood, the trials and victories that have molded me into the woman I am becoming for God's glory. Some of my favorite things are: baking from scratch (especially with chocolate), cooking up a storm of yummy meals, hot chocolate in the winter and a glass of ice tea in the summer, exercising, walks along the river, biking, hymns, the trombone; but my passion is the Lord Jesus Christ and learning to live a holy and godly lifestyle because He lives within my heart. Today's topic is, What's On My Mind. I have had a situation this week which has put a lot on my mind. I am so thankful to God for answering my prayers and for holding me while I sort things out. We probably all have things in our beliefs that God will tell us that we were wrong about...but I believe he will accept us in Heaven if we love and trust him and try to be the best we can be here on Earth. My faith has been tested. I prayed, he answered, and now I will trust and give praise. Life is never dull in our home, there is always something exciting happening. People may find this fact odd once they discover we only leave our property twice a week (except my husband who does go to work six days a week). We run errands as a family once a week and attend church on Sundays. There’s no need for us to burn up the highways, as we have nowhere to go; we do not participate in extracurricular activities. To put it simply, there’s plenty of enriching life skills and experiences to be had without ever stepping off our land. For this week’s Blessed at Home we have been asked to share our thoughts. My current state of mind is working in overdrive as we prepare for the next season of our lives, and I can assure you there is no time for boredom. 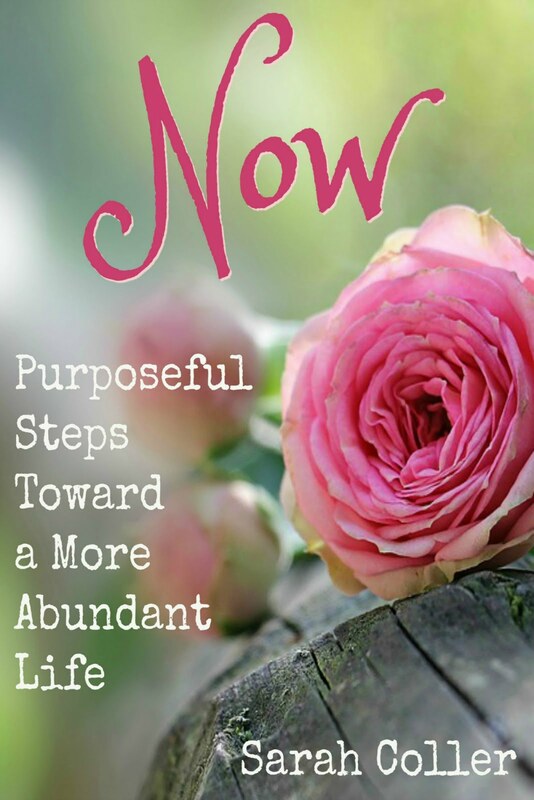 I received a phone call the other day and was asked, “What are you doing?” I had to laugh because I was literally doing six things at once: canning apples, preparing breakfast, facilitating daily lessons, cooking bread, putting dinner in the slow cooker, and baking my husband's weekly batch of breakfast. (I make his breakfasts for the whole week, once a week). And of course, I still had time for a social phone call; so is the life of a wife, mother, and homemaker. We must be ready and available to meet the needs of our family and to be of service to all who cross our path. I thought this week’s Blessed at Home topic would be a perfect opportunity to share the transition this time of year brings to our family. We are wrapping up our main summer harvest and preparing our soil for fall planting. There is winter sewing to be done which includes essentially all new skirts/dresses for my daughter. I have my Christmas sewing projects well underway for our simple homemade Christmas. I begin my fall cleaning this time of year, as opposed to spring cleaning. It doesn’t make a whole lot of sense to do a thorough cleaning in spring, since our home gets filthy from the summer harvest and preserving. And of course, we remain diligent with our daily lessons. In addition to our already full schedule, we have decided to do some much-needed home improvements and repairs. We are doing the work ourselves, (with the help of some wonderful volunteers) to save money and learn new skills. With this endeavor has come lots of research and preparation. Many nights have been spent combing the internet for the right technique and resources we'll need for each project. We’re excited at how simple and inexpensive changes have already drastically improved the appearance of our home. We look forward to seeing the final outcome of all our hard work as we seek to be faithful with the home we have been given. As you can see our days are busy, there is no time for boredom. We rejoice in our abilities to be active participating members of a family. We seek to honor God in our actions and service towards others. Our family prays daily that we would surrender our hearts, thoughts, words, and deeds over to the Lord and that He would guide our days. Without God we can accomplish nothing, but with Him we can do all things. So friends, what is on your docket these days? Are you busy at home too? There is always something on my mind. Lately, one thing that is on my mind is the whole "back to school" thing. I'm finding a trend that saddens me. In my house, we homeschool. So while the boys are in school, I, too, am in school. And when they go on summer break in May, that is also when my break from school begins. I couldn't imagine it any other way. I couldn't imagine sending my kids off on a school bus every day, wondering what they will hear, learn, encounter...scary thoughts! driving me crazy! All they do is fight!" I know you know what I mean. We ALL hear it. 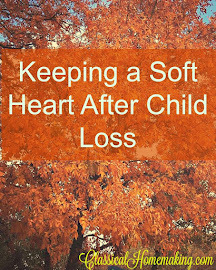 It's like this new, sad trend; to wish your children away. How horrible. To those parents I would like to say so many things. Won't you regret not getting to know your children better someday? Won't you miss out on so many things with them? And about that fighting--who is raising them? If you don't like the way your children are turning out, please look in the mirror. And then spend more time with them. PARENT them. Love them by your actions, not just your words. Yes, my boys get into little spats here and there. But they don't FIGHT with each other. And it's quickly dealt with by Mom or Dad. What a sad world to hear parents say they can't wait to be away from their children. This is not the way God intended it! It weighs heavy on my heart lately. We need to take time with our children every chance we get. They will only be what we allow them to be. God belongs to such as these. " Lately I've been striving to figure out how to balance my time. Between all the things I must do, the things God has laid on my heart and the things I like to do, there is very little time for error. I have to sit down and figure out a schedule that allows for everything on my to do list. I must prioritize so I do not miss the important every day things. What is on my mind? At any given moment as I go through my day, all sorts of things are on my mind. Thinking thoughts that are honoring to God is my desire. 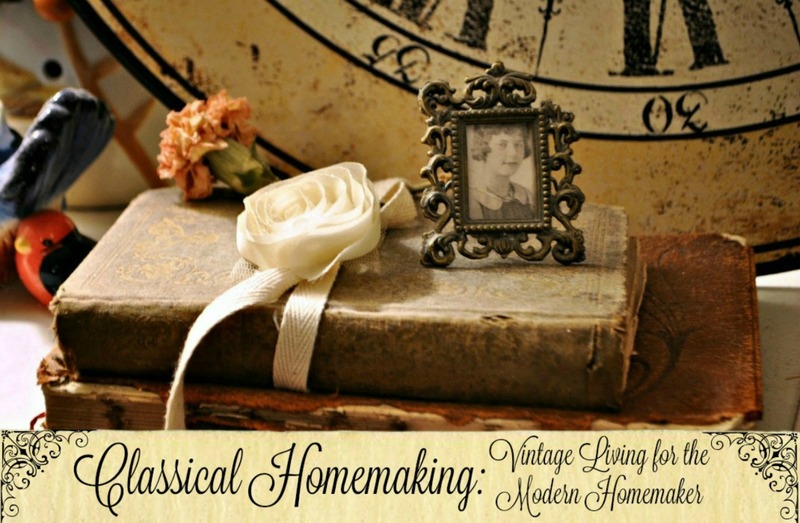 Lately, I have been thinking back over the years of homeschooling. I was up in the attic where all the binders of seven who once diligently (or not so diligently) wrote out their schoolwork. Looking through these binders was like going down memory lane. There were binders full of Bible verses that each child once wrote out, binders of Nature Studies with pressed leaves, beautifully colored (or not so beautifully colored) maps in the History binders. All sorts of binders. Lots of binders sat quiet now that school days are over. Each day we started with a Bible lesson. Each child, now an adult is making choices. That is on my mind. Instead of just thinking, I turn my heart to praying for each individual who was once a child in our home. Many of you still have homes filled with noise as you gather around the table each day to homeschool. Don't leave off teaching your children about the Lord because you are in a hurry to get school going and done. These school days are more fleeting than they seem as each day turns into months than years. That's what's on my mind today. This is a sponsored post for Blueprint Social and their client. All opinions are honest and are my own. 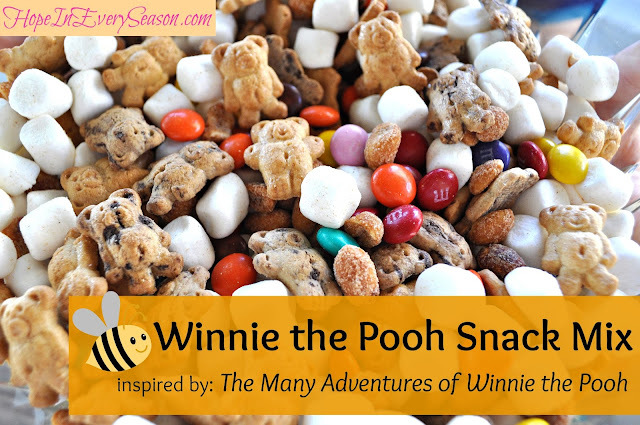 You'll be the hit of the party with this easy Winnie the Pooh snack mix! 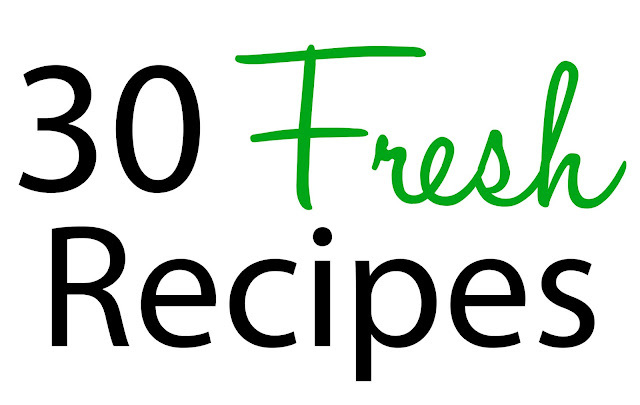 Visit featured hostess, Rachel at Bubbly Nature Creations, for a whole months worth of delicious food to try: 30 Fresh Recipes. When I was a young married girl, I had this great mental picture of what I believed my marriage was. I imagined a giant, swirling hurricane, and my husband and I were right in the center of it. All the crazy stuff in life swirled around and around us, but we were safe inside, because we had each other. No matter what went on in the world around us, we were untouchable as long as we held on to one another. Suddenly, instead of being there in the safe center of the storm with me, he had become one of the messy things swirling around outside. I felt like my whole world was falling apart. I was sickened, scared, angry, hurt—alone. I was hanging out in the center of that hurricane with the wrong god. I’d made my marriage an idol and my husband a god. When that false god failed me, I thought I had nothing left. The only way to repair the damage in my marriage was to bring Jesus into the center of that hurricane with me. Truly, He is the only One who can protect me from, or see me through, the trouble that swirls around me. For the number of years that I’ve been married, that was a long time ago. God has done some super amazing things in our marriage and we are definitely not where we were before. We are so much closer. We are so much better. To have intimacy with your spouse, you have got to have intimacy with the Lord first. When you are intimate with your spouse, in conversation, action, or otherwise, you are exposing your heart. You cannot rely on your spouse to protect your heart at all times. He or she is a sinful, fallible human. The only One who can hold your heart safe in times of vulnerability is Jesus. I am a member of the Collective Bias® Social Fabric® Community. This shop has been compensated as part of a social shopper insights study for Collective Bias® and their client. All opinions are honest and are my own. Even though we homeschool, the end of summer always signals "back to school" for our family. We begin wrapping up the summer and planning for an organized fall season. One way I keep my family in a routine is by making sure there's always something in the cupboards to make for meals---even quick ones. 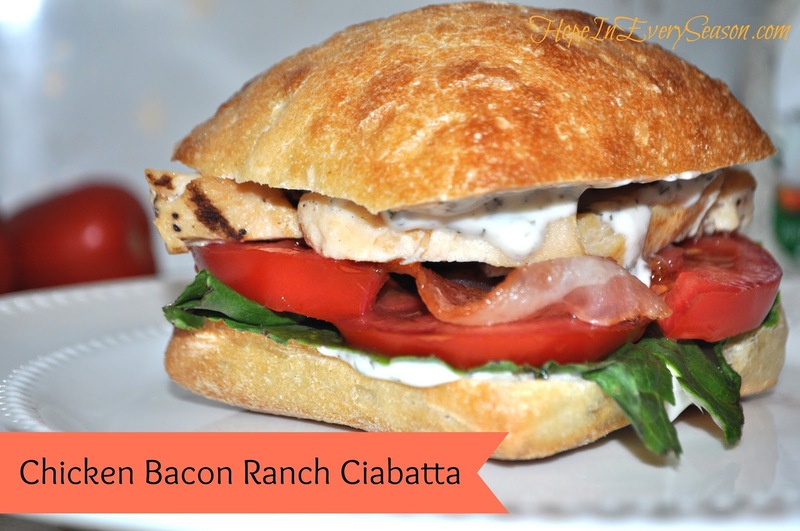 My Chicken Bacon Ranch Ciabatta was easy to make using Tyson's Grilled & Ready Chicken Breast Strips. 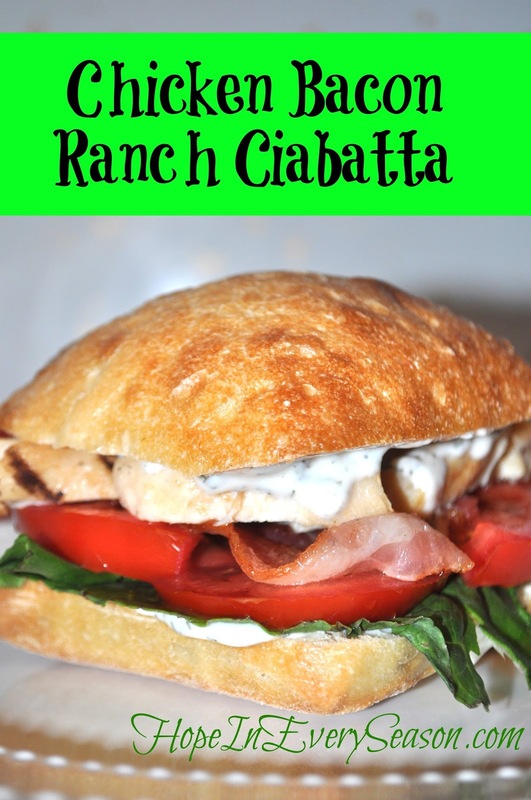 For this quick dinner idea, you'll need a bag of Grilled & Ready strips, a ciabatta roll, a couple slices of cooked bacon, some ranch dressing, and some extra fixings like lettuce, tomato, pepper jack cheese, and red onion. 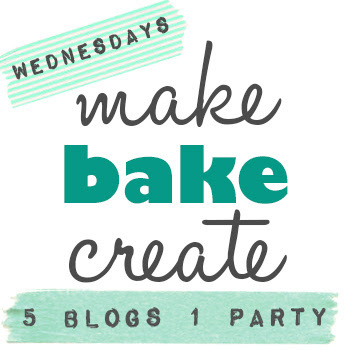 Assemble it and enjoy! I have used Tyson's Grilled & Ready Chicken Strips for awhile now as a solution when I don't have time for the extra step of preparing meat. There's often a bag in my fridge or freezer---and now I can also help my local schools out when I buy them! Visit my Google+ Album for more about my trip to Safeway to shop for these. 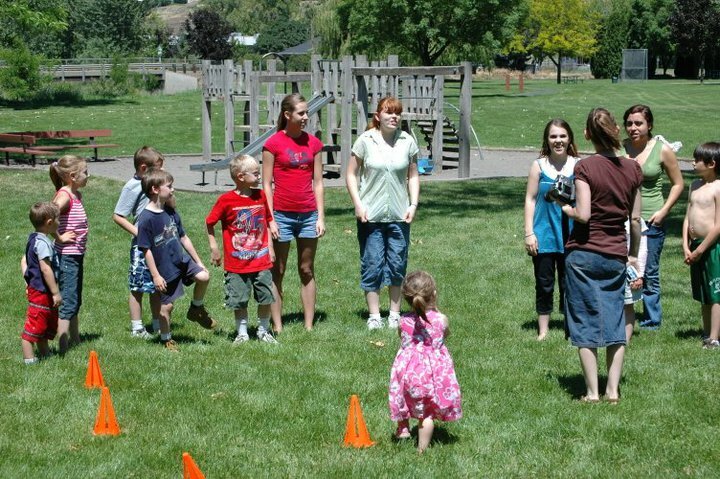 Did you know that Tyson has a program to benefit your area's schools? By participating in the Tyson's Back to School Project A+ Program, you can earn 24 cents per label for your school---that's a lot more than other school donation programs! When shopping for Tyson products, look on the front, back, and sides of the packaging to see if the product you're buying is a participating product. Here is a list of all participating Tyson products. 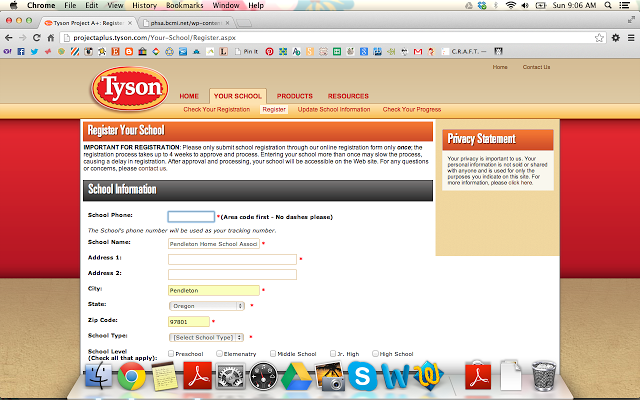 Signing up your school is easy! First, go to the Project A+ website, find the "Get Started" button on the right side bar and see if your school is already signed up. If not, you can sign them up quickly and easily. 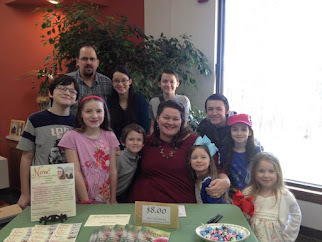 I was excited to see that homeschool associations are eligible to participate in this program. In fact, the Tyson Project A+ Program is open to all accredited schools in the US, including public, private, parochial, homeschool organizations, and military schools (both here and overseas). Once your registration is processed, it's just a matter of getting the word out to your community to let them know to start collecting Tyson labels. 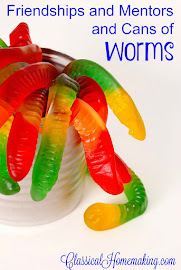 The coordinator will gather them up and send them in and Tyson will redeem 24 cents for each one. This is a great way to earn some money for your school! If you shop at Safeway, like I did, you can also add a donation to your local school by signing up for Safeway's Back to School 10% School Donation program. 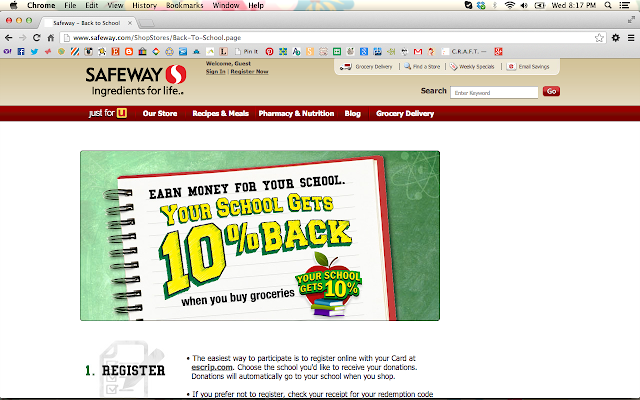 When you use your Safeway card during check out, 10% goes back to schools! Visit their website and follow the easy directions to get your school registered and ready to earn some much needed cash back! Just look for the special yellow Back to School tag on some of your favorite products at Safeway and, for a limited time, Safeway will donate to the school you've indicated during your registration process. In our homeschool association, we like to provide scholarships to families in need, as well as purchase equipment for our many outdoor activities throughout the year. 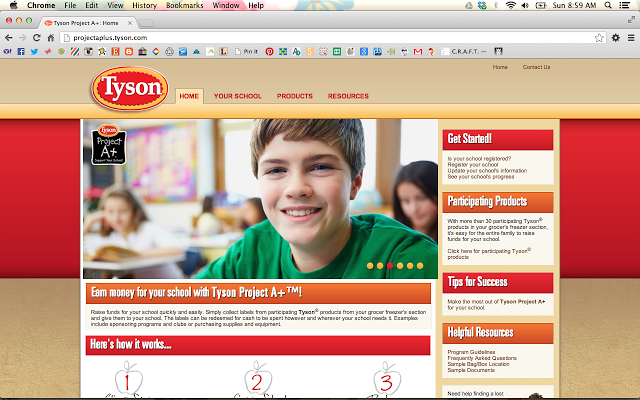 The Tyson Project A+ Program is a great way to help earn the money we'll need to accomplish this.